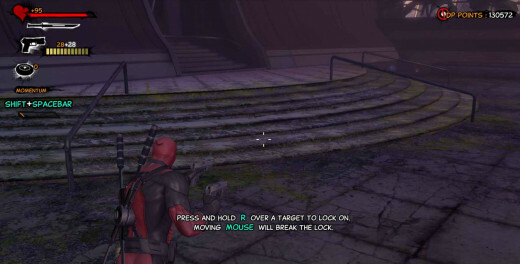 In Deadpool the game, the hero will crash-land on Genosha. The objective here is to find Mr Sinister initially. However, after meeting Cable, Deadpool is led to believe that his number one real life fan girl is waiting for him somewhere in Genosha. This is the first part of Chapter 4 Genosha guide. Deadpool will have to go through some large mini-bosses, defeat lots of minions and transverse and solve some obstacles and puzzles. This will guide Deadpool to achieve the above goals. Before venturing into Genosha proper, Deadpool has an opportunity to 'help' his rival x-men and weapons x comrade - Wolverine. Wolverine has been rendered unconscious by Deadpool's excellent piloting of the Blackbird and his pristine landing. Deadpool can try to slap him to wake him up. After countless slaps, Wolverine still does not wake up. Congratulations! Deadpool has gotten the "try one more time" achievement! The first part of Chapter 4 Genosha involves finding the real life fan girl. Anyhow, at this point, Deadpool has lots of ammo, so just teleport and jump around and shoot at the large mutant until he is defeated. It may be harder to use melee attacks because the juggernaut clone has a heavy damage melee attack, and a purplish straight line ranged attack which can impede Deadpool's flashy teleport, speed and attack. It is easier to aim and shoot from far. Defeat the one large juggernaut and carry on. At this point, Cable appears from the future (obviously) and starts telling Deadpool of the grim future that awaits them. Deadpool commits (temporary) suicide to stop the repetitious and boring storytelling. He wakes up and finds that he needs to achieve his next objective - find his real life fan girl. Deadpool will transverse some tunnels and arrive at a large area. Deadpool can use this wall to get up to the higher level in the compound. This large area has three compounds with remnants of walls littered around the compound. There is also an elevated railing area above the compounds. Enemies will be shooting at the hero from behind the walls and from the elevated grounds. Do the same. 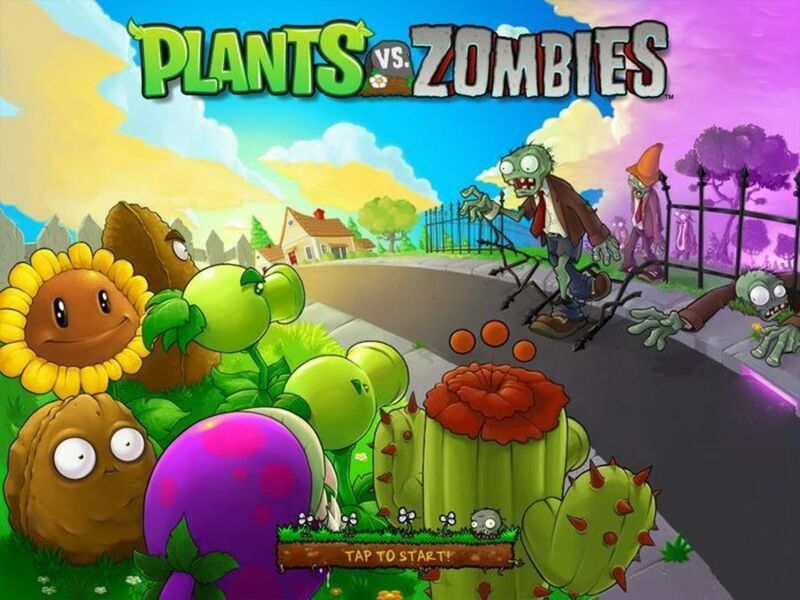 Hide behind the walls or barriers and shoot at the enemies until the ranged enemies are defeated. Then move out to take out the melee enemies. 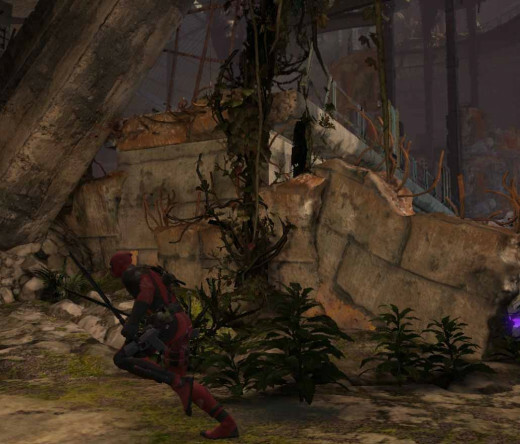 Once Deadpool finishes off the enemies and moves to the third compound, the juggernaut clone appears, pounding and crashing his way through the wall into the compound. Deadpool runs away and turns his head back. There are not one, but two juggernaut clones and lots of minions. Teleport in and out and clear out all the minions first. Then go back to the first compound. 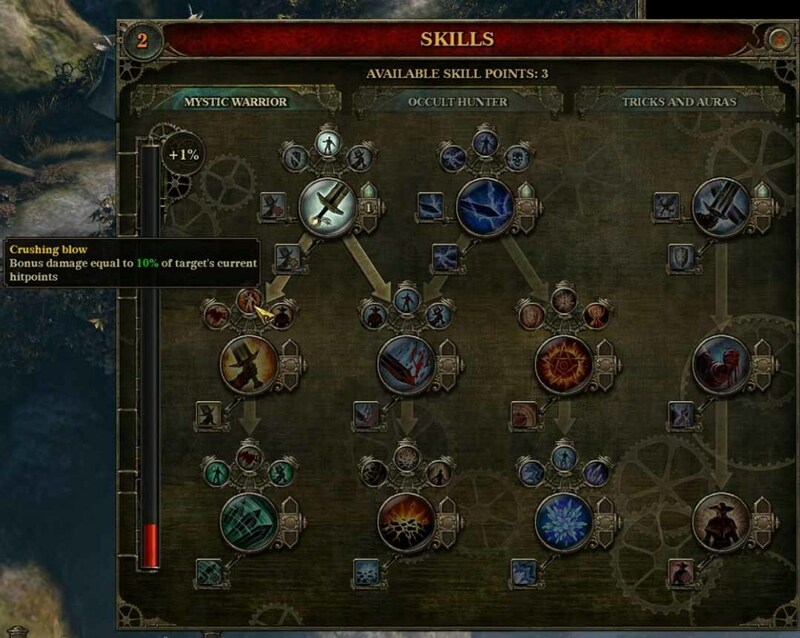 There is an area to the right where the hero can double jump to the top. Before doing that, purchase the land mines upgrade. At the top, plant the two land mines. The large mutants will jump up to the platform and trigger the land mines. Obviously, Deadpool would have teleported off by that time. Now go around the three compounds and collect more land mines. Repeat the technique. One of the juggernaut clones will be defeated, leaving the other one easy cannon fodder for Deadpool's ranged, melee and teleport attacks. 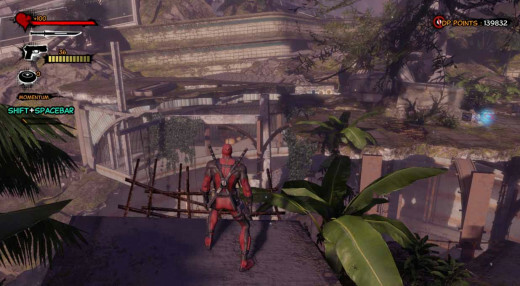 Note that if Deadpool runs out of ammo, he can go up to the elevated railing area to get more ammo. The way up can be achieved by climbing this wall. If Deadpool goes into this alcove, the lightning calling mutant cannot shoot at Deadpool effectively. Deadpool must jump across to get the first power cell on Genosha. Move around and explore the best way to jump. Climb onto the elevated railing area through the technique above or through the ledge and then the large hole in the wall created by the juggernaut clones. Look for a wall jump area on the elevated grounds and do just that. Jump and jump and then double jump to the other platform. Wall jump and then follow the other spiral (broken) landings to the roof. Here, a mad 'dragonball z' like levitating mutant will launch lightning strikes at the hero. 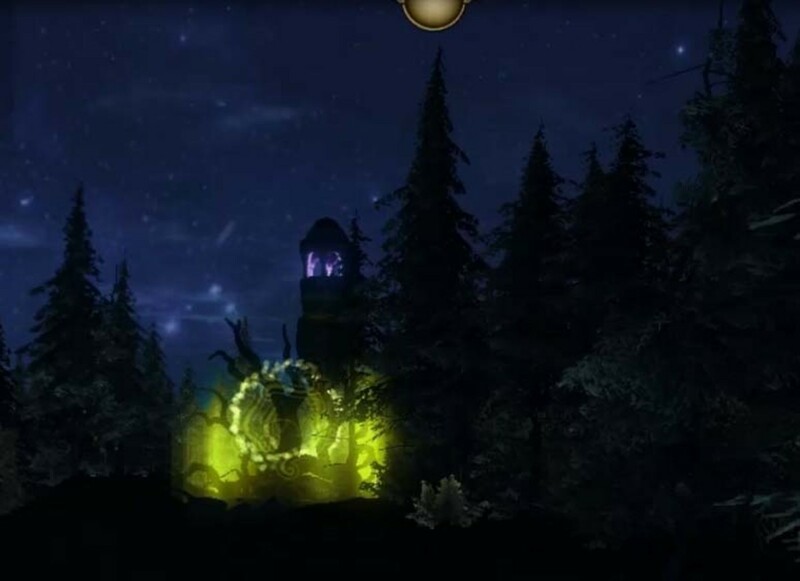 Go hide in one corner where the lightning cannot strike the hero and aim and fire the hero's most powerful weapon at the mutant until he is defeated. If Deadpool runs out of ammo, go out of this alcove and grab more ammo and return to the safe aiming alcove. With the levitating mutant gone, identify a statue at the top of the roof and jump through some obstacles to get there. The idea is to get the first energy cell. Now, return to the roof level and spot a Sentinel arm with a missing energy cell. Go and insert the energy cell and move the arm away from the opening. 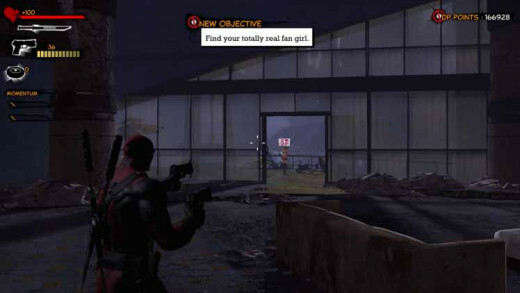 Go through the opening, go past some tunnels and defeat some enemies before arriving at the area to find the totally real fan girl. Onward to the second part of the Chapter 4 Genosha Guide.